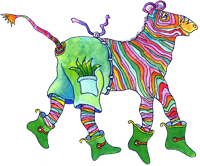 Rainbow Planet Children's Music Workshops take kids and teachers on a cooperative adventure of creative expression....in which group singing, movement, creative writing and art are explored through themes of Friendship, Self Esteem, Diversity, Ecology and Imagination! Jim Valley, a Parent’s Choice award winner, is a musician, composer, entertainer, and world renowned performing artist. In his thirty-year career, he has created numerous albums, books, a musical play and a DVD. He has been touted by educators as an International Troubadour -- bringing the magic of music and motion to children everywhere -- including twenty countries on five continents. "Jim brings something special to our schools-music, song, dance, poetry and a sense of community and friendship. Jim has visited Taipei American School three times in 10 years. Every visit is positive, rejuvenating and full of memories for children, parents and teachers. Many of Jim's songs tie into our character education themes and reinforce the values of kindness, respect and responsibility to others and the environment. Prior to Jim's visits, we teach our students his songs and they eagerly anticipate the class sing-a-longs with him, the family concert and the all-school assembly. They are never disappointed! A particular highlight for many students is getting their poetry set to music - how powerful is that! Jim has unbounded energy; he is dependable and professional and, he is easy to host. Jim Valley had provided our students with some of the best memories of their elementary experience. We are already looking forward to his next visit." Jim’s music inspires creativity, interaction, and imagination~lifetime learning tools -- that strengthen friendships and encourage stewardship of Planet Earth. Step on in to learn more about the magic of Jim Valley and Rainbow Planet!